With approximately 310 million monthly active users in its ranks, Twitter is a social media platform that can be very beneficial in driving traffic to your websites. Our last article was aimed at pinning a tweet, but our current article is intended to introduce you to a very handy Twitter marketing tool “FollowLiker”. It is a reliable, intuitive and multipurpose software that can help you automate all your social media tasks in general and the entire process of getting more followers in particular. – How to use FollowLiker and the advantages we can get from proxies. – How to get the FollowLiker installed and configured on your Virtual server. Over the past decade or so, we have been witnesses to some of the most astonishing revolutions in the realms of technology. Social media networks have sprung up everywhere in the nooks and corners of the world wide web and have plenty to offer to the entrepreneurs. They possess the incontrovertible ability to drive traffic to your business websites which in turn result into maximizing your return on investment as a business owner. However, there’s a downside! For someone who owns a burgeoning business, it would certainly be ideal to concentrate on the main function of business instead of having to grapple with myriad social media accounts all the time. This is precisely where the need for an efficient marketing software jumps in! A flexible and handy marketing software should be able to save you a lot of your precious time by automating all your social media tasks. FollowLiker is a powerful, innovative and user-friendly marketing software that has a serious potential to automate your social media tasks with seamless ease. It can do wonders! From expanding your follower base to generating leads and driving more organic traffic to your website; FollowLiker can do virtually everything. Let’s have a look at the software in more detail! Instagram, Twitter, Pinterest and Tumblr are social media platforms that are used by millions of active users throughout the world on daily basis. FollowLiker is actually a refined and automated version of these social media networks that can be operated comfortably without any hassle 24/7. With the help of this amazing software, there are a number of social media tasks that can be automated. These include but are not limited to automatically follow those users who are discussing about a certain topic or hashtag while simultaneously ensuring that those users are automatically unfollowed who are haven’t followed you back after a specified period of time. Another benefit that you as an aspiring business owner can gain from FollowLiker is that it lets you schedule your Twitter posts and tweets throughout the day so that you are able to stay engaged on Twitter continuously. Let them coming you say? Well, you can configure FollowLiker to automatically retweet any Twitter posts that are being tweeted by certain users or by those users that are relevant to a specific hashtag. This power-packed feature rich market software is bound to save you plenty of time, let you stand prominently among the crowd and help you achieve unprecedented excellence in your business. If you are planning to initiate multiple Twitter accounts with the help of FollowLiker, then you must use separate proxies associated with Twitter accounts. We recommend you to use one account per proxy. Some experts believe that you can go ahead with up to three accounts per proxy but we’ve had some unfavorable experiences when trying to do so. We had hundreds of our Twitter accounts blocked and so we had to resort back to the much trusted and failsafe practice of using one account per proxy. Be Careful: If you make an effort to operate multiple Twitter accounts without using proxies, then you run the risk of facing a wide scale embargo on all of them. Ensure that you grab yourselves some top of the line, dedicated proxies here if you intend to initiate your work on FollowLiker. FollowLiker has so much to offer that at first it might even scare you away. It is packed with features to the brim and comes with endless possibilities. Even if you are intimidated a bit at the beginning, consider it normal. But bear in mind, if you succeed in getting to know the ins and outs of this power-packed marketing software, you will be able to unleash its incredible potential. Wider community! The number of individuals using FollowLiker is increasing day by day so whenever you get stranded, log onto a relevant forum and leave your query there and then. Moreover, the internet is brimming with online tutorials including video and descriptive tutorials, which can serve as comprehensive guides on the working and functioning of FollowLiker and also what could be the most preferable techniques to employ. It is so feature-rich that you will always end up learning new strategies, approaches, techniques and ideas. Keep increasing your knowledge about this fabulous social media marketing software to get the most out of it. Experiment, innovate and learn! That should be your mantra! Scraping Users is a Piece of Cake! A simple right click on an account in FollowLiker will lead you to a pop-up with a number of options. Click on “wizard”, select Scrape User and Follow and click “Next”. As part of the next step, you need to establish the criteria based on which the software will follow specific users. For this purpose, you need provide relevant information under the Query Type heading. For example, you can tell the software to search for users with a keyword in their username bio or profile or you may ask the software to follow all the followers of a certain Twitterati. Similarly, you can look out for all the people who are discussing a certain topic or a keyword while following back all of your own followers. As soon as you are finished with setting up the desired criteria, your information will be successfully interpreted and the instructions will be carried out by FollowLiker to find the relevant group of audience you are looking for. At this point in time, it is advisable to ensure that the audience that is being traced by FollowLiker is relevant to the given parameters and those users who are being followed by the software fit perfectly in accordance with the criteria specified by you. Golden Tip: We highly recommend you to follow those Twitterati who retweet a certain tweet only to very active and targeted users. One of the most exciting features offered by FollowLiker is that the software is able to unfollow those users who do not follow you back within a predefined interval of time; thus ensuring a healthy follower to following ratio. This is an automated feature and you can define the number of days or the time period before the users are unfollowed by FollowLiker. Twitter, Pinterest, Instagram and Tumblr let their users connect and interact with each other, share information, promote one another, generate leads and drive traffic to their websites via a number of social media tasks such as following, favoriting, retweeting and performing other such actions. FollowLiker possess the unmatchable capability to search posts, tweets and pins based on the appropriateness of keywords or the pins posted by other users. 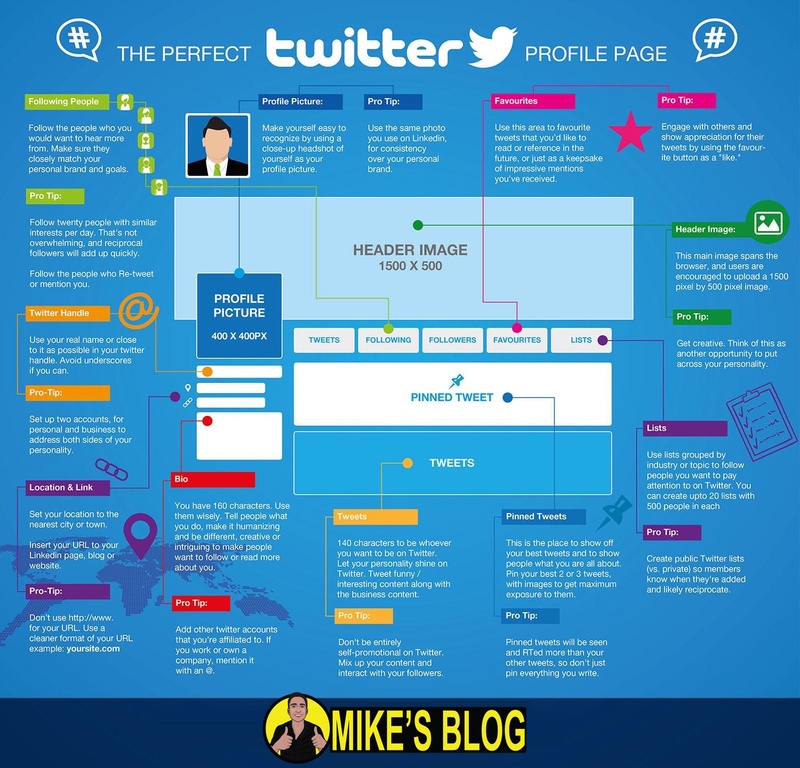 This can be quite conveniently configured by specifying the keywords or the users whose tweets, pins and posts you want to share with your followers through your account. Keep in mind that once you start off, build your account slowly and look to incorporate automation gradually. A new account that supports automation can be detected by Twitter or any other social media network as spam and blocked immediately. It is important that you make a slow start and allow your automation to take pace slowly yet surely so that your activities do not appear illicit. Before you begin to set up FollowLiker on your desktop machine or virtual server, there are a few key things that you ought to keep in mind. First: Check your Windows’s eligibility! I believe that the marketing software functions seamlessly on a VPS as I personally utilize the VPS Solutions Hostwinds since it ensures that the system does not succumb to any failure while the servers that they employ are very fast and efficient. As mentioned above, FollowLiker is a very user-friendly software. All you need to do is to specify the criteria for a certain task or set of tasks and then let the software work out its magic by following your instructions. It enables a user to maintain multiple accounts and hence is very handy for those entrepreneurs who are handling multiple social media profiles. Once you have installed the software on your computer, you are supposed to enter your FollowLiker username and password. As soon as you access the account screen, right click with your mouse and select “New” from the resulting dropdown menu. Providing the basic details about your Twitter account such as username and password will be sufficient to get you started. There is also an option to enter proxy details but is only required to completed if you plan to operate multiple Twitter accounts. Having completed all the above tasks, you are ready to start using FollowLiker. Yes folks! It’s so simple! You can begin by searching for 5 to 10 of your business competitors on Twitter, Pinterest, Instagram or any other social network that you are working on. Your competitors would have decently large number of followers and would be in the same niche as you. At this point in time, note down their usernames and select another 5 to 10 keywords or subjects that you intend to emphasize on when searching for tweets, pins or posts. In case of any technical or implementation issues with the software, you can always contact the customer support department or even search on the internet. The web is full of lots of useful and relevant information regarding FollowLiker while its wide community is always there to help out the newbies. Looking to Avoid Being Blocked with Multiple Accounts? Here’s How! We highly recommend you to start off at a very slow pace initially after configuring your new FollowLiker account. For example, for an Instagram account, we suggest you to go for 200 to 400 images and 30 to 80 people per day. Similarly, you should only share only a couple of images on daily basis. This will go a long way in making sure that your automated Instagram account is legitimate and will save you from being blocked. At the outset, you should keep a close eye on your accounts and determine the growth in them regularly. With a conservative initial plan in place, you can observe them minutely until you are confident that the account is performing according to your expectations or even exceeding them. Once you are satisfied with your accounts progress, you can ramp up your pace and increase the number of comments, posts, tweets, retweets and other account related activities. As your account grows and more time passes, it will be able to gain the much needed credibility and traction which will allow you to be more active. What is really important for you to comprehend is that automation of your social media tasks is a means and not an end itself. It can help you achieve only a limited number of objectives and does not constitute a full-fledged marketing and promotion strategy. It will definitely drive a small amount of traffic, but in order to attract organic traffic to your accounts, you will have to put in a lot of manual endeavors so that you are able to unravel the real potential of social networks. The actual motive behind automation is to expedite the growth of your social media accounts but you cannot bank on it alone to achieve your desired results. Keep in mind that if you indulge yourself in too much of unnatural or robotic activity, you run the risk of being red flagged and banned. So it is always advisable to operate your automation in a way similar to a human being actually using the social media. This will help you forge a formidable strategy. To add to the above discussion, never forget the importance of Proxies! The overarching goal of choosing to use a marketing software such as FollowLiker is to drive more organic traffic to your website and hence converting it into increase sales by utilizing the right targeting approach. All your hard work, creativity, passion and zeal can go down the drain if no one is there to view and acknowledge the hard yards you have put in your web content. So a tool such as FollowLiker can prove to be a great inspiration as it reaps quicks dividends and lets your adrenaline pumping through your body. Remember to consider your target audience and the best possible way to get to them when using FollowLiker. Where does your target market hail from geographically and usually at what times during the day do they use the internet? You can configure FollowLiker to work 24/7 or you can specify certain hours during which the software is bound to perform social media tasks in accordance with the geographical location of your target market. Likewise, you can also research the type of content that is popular among your target audience and that can gain you traction among them. You must find out what hashtags are reflective of their preferences, what keywords are they looking out for, what type of images, tweets, posts and pins can gain their attention etc. You must figure out the type of content that can gain popularity among the adolescents as such content will definitely be different from that preferred by the elderly or the adults in the age cohort of 20 to 30 years. You must develop a strategy that spells out a clear plan on how to mould your content to capture the imagination of your target audience. Does FollowLiker really live up to its hype? Here’s the million dollar question! Does FollowLiker really do what it claims? You will find loads of people in your surroundings who oppose the use of social media automation tools and are of the view that such antics turn out to be futile. On the contrary, statistics reveal that automation does come with its fair share of advantages, especially if it is being used to bolster one’s business. Such tools and social networks exhibit an enormous amount of potential for marketing purposes. As a matter of fact, when used in the right manner, FollowLiker does produce the desired results. It enables a user to maintain and manage multiple social media accounts in order to accommodate multiple user profiles simultaneously. Being user friendly, all it requires is to be opened, the required criteria of the task be defined and the rest be left to the software. If you have just commenced your online business and are struggling with attracting people to reach your blog, then a marketing tool such as FollowLiker can prove to be really handy. SEO works like a charm when done the right way and its results are evident when you are building a new website. Do you intend to have a go at FollowLiker? We suggest you to opt for its trial version and see it for yourself. You can configure multiple accounts and depend on technology to look after your social media tasks. You will certainly observe an increase in your followers and a spike in traffic to your website. After some time, we promise you that you will get appreciable results from the software and it will surely prove to be a revolutionary change in the way you think about SEO and internet marketing. Do not forget these important tips about FollowLiker social media automation and marketing software so that you are able to get the most out of your social media networks and promote your business among your target audience in the right possible way. Click here to visit FollowLiker. Enjoyed reading our article? Try some more great readings at our blog! Hoping to see you again. Good day!